The World Bank Group is one of the world’s largest sources of funding and knowledge for developing countries. It uses financial resources and extensive experience to help our client countries to reduce poverty, increase economic growth, and improve quality of life. 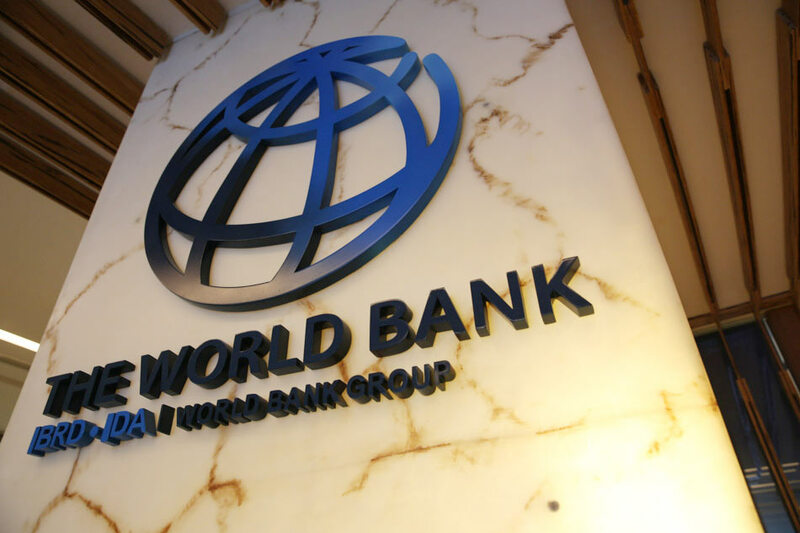 To ensure that countries can access the best global expertise and help generate cutting-edge knowledge, the World Bank Group is constantly seeking to improve the way it works. Key priorities include delivering measurable results, promoting openness and transparency in development, and improving access to development information and data. The World Bank, a leading multi-lateral institution in global economic development, is looking for a highly organized, energized and experienced person capable of operating effectively in a very demanding fast-paced environment to serve as a Team Assistant. The Team Assistant will be under direct supervision of the Senior Executive Assistant (SEA) who is responsible for her/his technical and professional development and performance evaluation. The Team Assistant is an integral part of the Nigeria Country Office Administrative and Client Support (ACS) team. (S)He will provide Administrative and client support to the Operational Staff. The job implies frequent interaction with other institutional units, staff in other locations (locally and internationally), Government officials, consultants and external organizations. Provide support for preparation and implementation of World Bank projects and activities according to Bank procedures. Use desktop processing skills to produce complex texts, reports, presentations, charts, figures, graphs, etc., according to Bank format and distribution. Collect and input data provided by Task Team Leaders into the central database, including processing new project status reports. Keep abreast of the Organization’s directives and ensure effective processing of all project documents. Draft routine correspondence (standard letters, memos, faxes, etc.) conforming to the Organization’s regional standards, using proper grammar, punctuation and style and proofread materials. Draft minutes of meetings and provide assistance in editing large documents. Maintain up-to-date divisional project files (both paper and electronic) and retrieve data from various sources and compile these for use by the Country Director and/or the Country Management Unit (CMU). Incorporate agreed comments into documents, making full use of shared drives and software capabilities. Answer internal and external queries on the assigned portfolio or, as necessary, take accurate and comprehensive telephone messages, and route them to appropriate persons to handle. Maintain current distribution lists, phone/address lists of project/product contacts, and distribute documents for the team. Co-ordinate with service units, and liaise frequently with team members both in Washington and in the Country Office. Track and report on appropriate aspects of the Team’s operational activities. Arrange working schedule and meeting with counterparts for the visiting teams. Co-ordinate time management and schedules, taking current and future priorities into account, anticipate and monitor changes, and communicate the information. Track assigned tasks/project steps/ timetables using modern office management technologies, coordinate with relevant staff, provide assistance and/or information on project-related matters. Solve non-routine problems creatively and resourcefully and assist in preparation and logistical planning for various events, e.g. conferences, workshops, negotiations, board presentation and signing, etc. Serve as a back-up to other staff and Task Team Assistants on project and administrative tasks. Perform other tasks as requested by the Supervisor. Minimum Bachelor Degree and at least 3 years of relevant experience. Previous experience with a multilateral/bilateral organization is an advantage. Technology and systems knowledge – Demonstrate advanced knowledge and experience working with Microsoft office applications (Excel, PowerPoint, Word, etc.). Has ability and willingness to maintain up-to-date knowledge and skills in technology. Project and task management – Exhibit good organizational, problem-solving, analytical skills and ability to work competently with minimal supervision. Demonstrate attention to detail and quality. Has ability to manage multiple tasks and complete tasks within agreed schedule. Institutional policies, processes, and procedures – Demonstrate knowledge of own department’s programs and products, know key players, understand own role. Display understanding of WB policies and procedures relevant to the area of assigned responsibilities and is able to apply/ implement them. Versatility and adaptability – Demonstrate flexibility and is receptive to the implementation of new solutions. Is willing to stretch own capability. Demonstrate motivation to avail and adapt oneself to effecting change. Client Orientation (ACS) – Exhibit good communication skills, positive and professional client service attitude; is able to understand clients’ needs and complete them professionally. Learning, knowledge sharing and communication (ACS) – Good English language skills (verbal and written) Able to write clearly, edit and proofread draft communications. Able to learn and share knowledge/information across the unit. Business judgment and analytical decision making (ACS) – Able to manage information and support retention and disposition of information and records. Can search, report, and deliver basic information from various sources and independently respond to basic inquiries. Drive for Results – Able to take personal ownership and accountability to meet deadlines and achieve agreed-upon results and has the personal organization to do so. Teamwork (Collaboration) and Inclusion – Collaborate with other team members and contributes productively to the team’s work and output, demonstrating respect for different points of view.